The tournament will be held in The Attic (the second floor). Take the R train to the Steinway Street stop (it's the 3rd stop in Queens). Take the stairs at the front of the train (if you came from Manhattan) and take a left at Broadway. 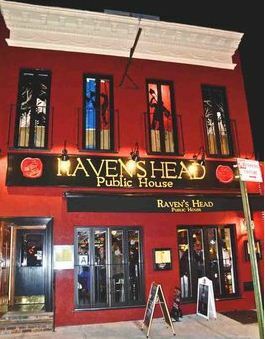 The Raven's Head Public House will be 1 block down on the left. Alternatively, you can take the N train to the Broadway stop. Walk 7 blocks east (street numbers go up). Raven's Head will be on the right. It's a bit of a longer walk, but it's handy if the R is on the fritz. Use your GPS. Closest East River crossing is the RFK (Triboro) Bridge. Street parking only. Good luck with that.